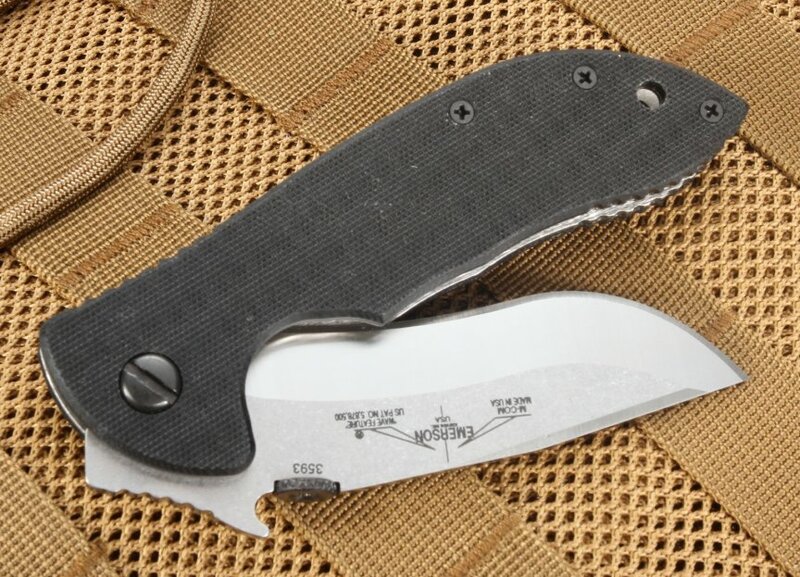 Built into a compact, comfortable everyday carry size, the Emerson Mini Commander SF packs a lot of punch into a small package. Perfect for tactical applications, the Mini Commander SF is a knife that you'll love to carry and be proud to use. With its 3.4-inch 154 CM stainless steel blade, the Mini Commander boasts an RC rating of 57-59, meaning it provides the perfect balance of hardness and toughness. The sleek recurve blade shape is both aesthetically-pleasing and highly functional, providing an extra wicked look to the pocket-sized blade. The Mini Commander's blade is stonewashed and ground to a precise, razor-like edge that offers exceptional edge retention. A sleek satin finish provides more resistance against wear and corrosion to the already stainless blade. Aerospace-grade titanium liners are tucked into a textured black G-10 handle, providing the Mini Commander with an extremely durable handle that offers excellent grip and blade control while the knife is in use. The titanium liner lock won't give out, meaning the blade will stay in place and not slip back on the hand. 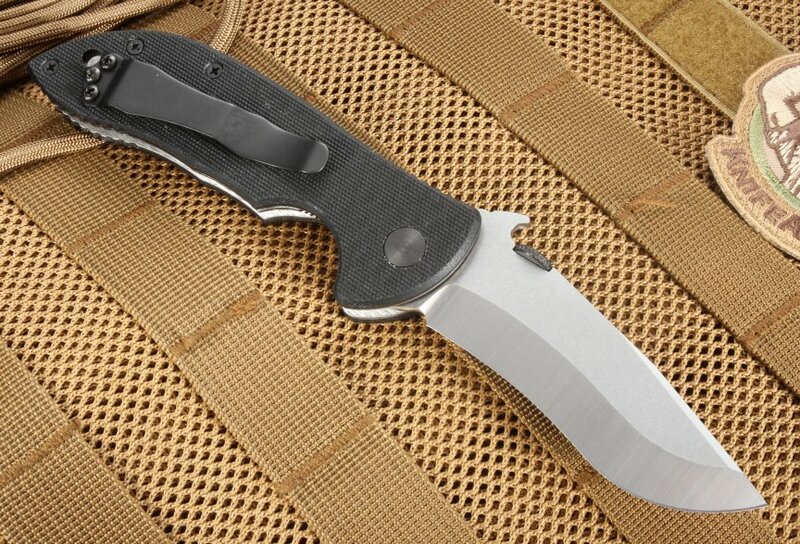 An ambidextrous thumb disc allows for easy opening in either the right or left hand, and the Mini Commander features Emerson's proprietary wave open feature. With the hook on the blade's spine, the knife can be drawn from a pocket and the blade deployed in a single swift, smooth motion. A sturdy black pocket clip is mounted for blade tip-up carry, and a lanyard hole in the handle offers extra carry options and versatility. 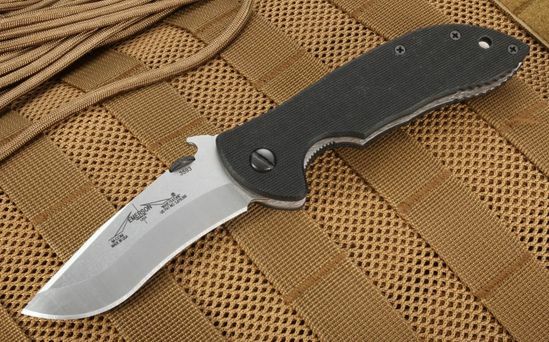 At just 4.8 ounces, the Mini Commander is a comfortable tactical folder for everyday carry. When you need your blade right away, the Mini Commander won't let you down. With his dedication to quality, craftsmanship, and detail, Ernest Emerson designs and manufactures some of the most durable and beautiful knives available. His experience working with U.S. military special forces and his training as a martial artist and edged-weapons expert provide the knowledge and expertise he puts into every knife he creates. All Emerson knives are made in America, and the Mini Commander is a knife you'll be proud to carry and use. 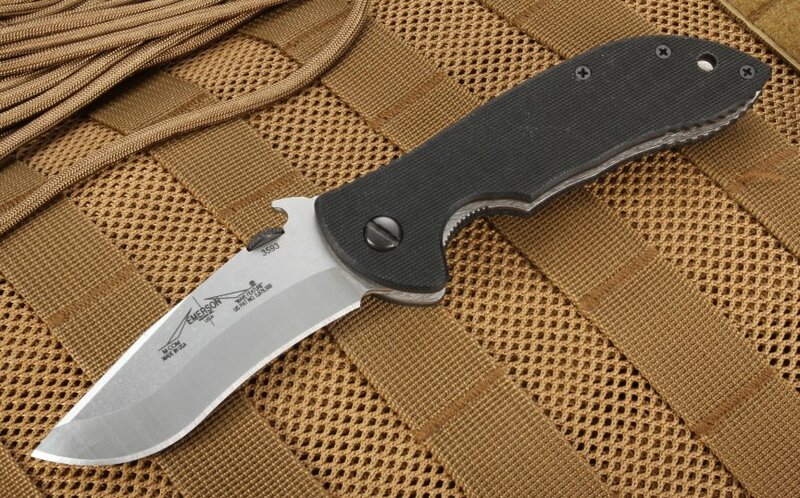 KnifeArt.com is an authorized Emerson Knives dealer. We offer the Mini Commander backed by our full satisfaction guarantee, hassle-free return policy, and fast, free domestic shipping on orders over $150. Order your Mini Commander today!